In today’s key verse, John, the beloved disciple, records this instruction from Jesus: “As the Father has loved Me, I have also loved you. Remain in My love” (John 15:9). In this verse, the word “remain” can also be translated dwell or abide. Reflecting on these definitions made me realize how wrong my beliefs had been. 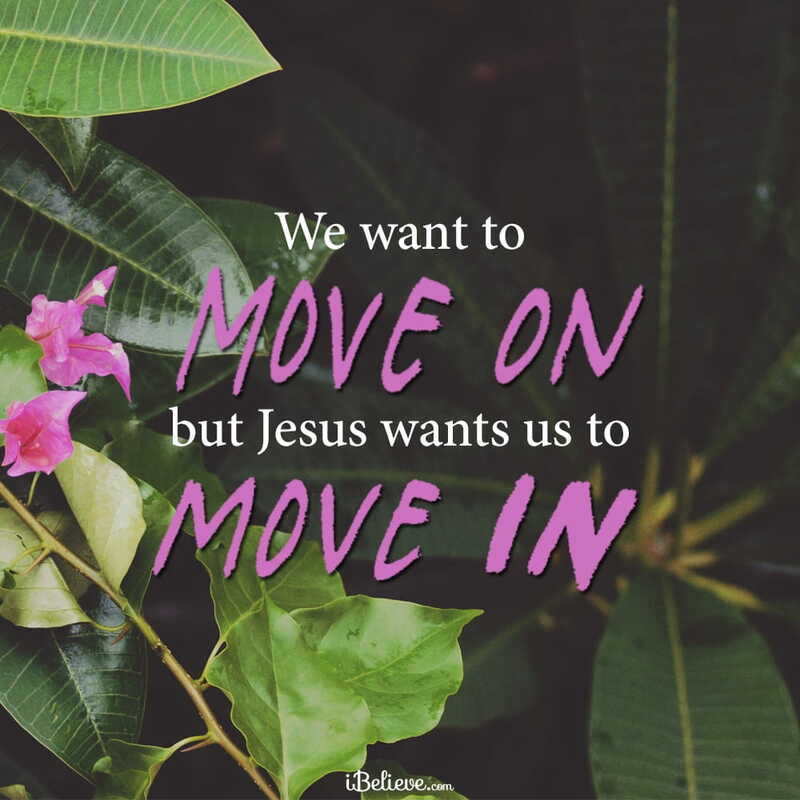 We want to move on, but Jesus invites us to move in. Remain, abide and dwell — these words revealed how I evaluated progress and growth, and they helped me understand God’s approval in a new way. We don’t have to produce or create forward movement to earn God’s love. Instead, He asks us to move into … to settle … to be still in His love. God doesn’t measure our worth by our works. He establishes our worth by His love. Although I tend to calculate value by external things, God gauges value by internal things, and love is an internal work. I invite you with the same invitation God extends to each of us: Remain in God’s love. Move in all the pieces of your life. Every thought, emotion, gift and flaw. As we say in the South, “Sit a spell!” In other words, dwell and bask in the love of God. You are worthy because of God’s gift of love, not the checks on your to-do list. Lord, I’ve been so prone to evaluate my value in terms of what I produce. I’ve believed wrong things about how You see me, keeping me from being as close as You desire. Today, I surrender. I move in to dwell permanently in Your love. I choose to rest and abide. In Jesus’ Name, Amen. Editor’s Note: Content taken from the Encouragement for Today devotional, Moving into a Better Measurement, written by Amy Carroll. You can read that piece in full here. All rights reserved.